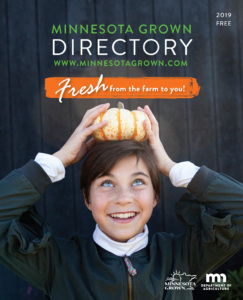 By submitting photos to the Minnesota Grown program, you are granting permission to the Minnesota Grown program and the Minnesota Department of Agriculture to use the photos for marketing purposes, including but not limited to website, newsletters, social media, and print advertisements without compensation or credit. By submitting photos you are agreeing that you have the authority to authorize the use of such photos by Minnesota Grown and the Minnesota Department of Agriculture, and accept liability if it is proven that you did not. Photos of Minnesota Grown members, past members, and/or their products taken by Minnesota Grown staff may also be used for website, newsletters, social media, print advertisements, and other marketing purposes with verbal consent.